the Western Mediterranean from Barcelona, Spain. You could be there, aboard Norwegian Epic, taking in her state-of-the-art design, world-class restaurants, new wave accommodations and the most happening and sophisticated nightlife at sea. 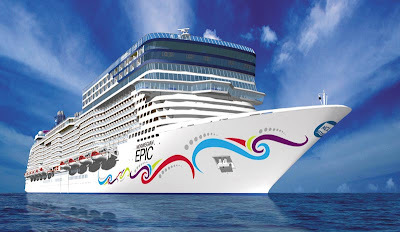 You could also be there as Norwegian EPIC crosses the Atlantic Ocean on her way to or from Europe. On May 7, 2011, the ship will depart Miami on an 11-day transatlantic crossing to Barcelona, Spain with one stop in Ponta Delgada, Azores. 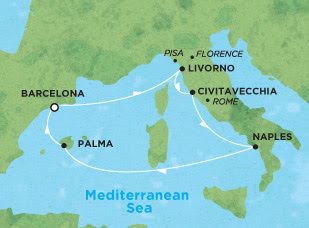 Upon her arrival in Barcelona on May 18, 2011, the ship will sail a four-day Western Mediterranean sailing with stops in Marseille, France and Palma, Majorca, Spain before beginning a series of 22 seven-day Western Mediterranean cruises from Barcelona through October 16, 2011. She will then sail a 13-day transatlantic sailing from Barcelona to Miami, Florida is scheduled for October 23, 2011 with stops in Ponta Delgada, Azores and St. Thomas, US Virgin Islands. 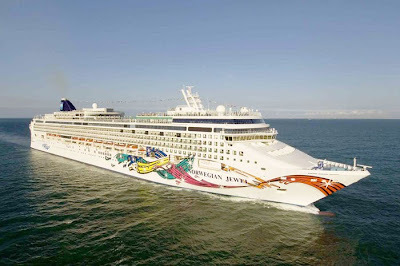 Once back in Miami, Norwegian Epic will sail a series of 23 seven-day Eastern Caribbean cruises from November 5, 2011 through April 7, 2012. Ports of call on the Eastern Caribbean itinerary include: Philipsburg, St. Maarten; St. Thomas, US Virgin Islands; and Nassau, Bahamas, along with two full days at sea. Whether you’re seeking the warm, tropical breezes of the Caribbean, Alaska’s natural beauty, the rich history of Canada & New England or the unforgettable scenery of Europe, you’ll enjoy the signature cuisine, welcoming service and exclusive amenities for which Princess is renowned. Canada & New England cruises and cruisetours have been added to Princess Cruises Balcony Bonanza promotion, giving you more chances to book that vacation you've always dreamed of. You can select between 2010 Europe, Canada & New England, Summer Caribbean and Alaska cruises and cruisetours. There are several different categories of balcony staterooms on Princess cruise ships. The Oceanview Double With Balcony has Twin beds that make up into a queen-size bed. Sitting area with desk. Balcony. Refrigerator and TV. Spacious closet. Bathroom with shower. Approximately 217-248 square feet including balcony (cabin size may vary based on ship). As the ship pulls into port, step onto your private balcony and get a first glimpse of your surroundings. Enjoy a cup of coffee or breakfast on your balcony as you wait for the ship to be cleared. Return from a day in port and relax on your balcony before dinner, or even have a romantic dinner on the balcony as you sail to the next port of call. What's Your Balcony View ? 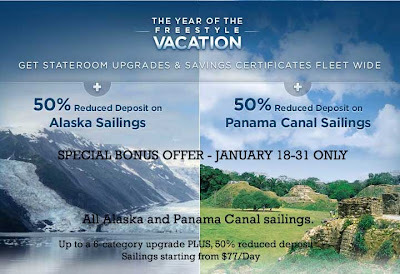 Now up to 50% off Alaska vacations! If you could only go on one cruise in your lifetime, where would you go? For many people, the answer to that question would be Alaska. They would also want to spend as much time there as possible, so they'd tell you they actually wanted to do a cruisetour so that they could explore the interior of Alaska. The Last Frontier: Alaska, admitted as the 49th state to the union is thought of as "America's Last Frontier" because of its distance from the lower 48 states and because of its rugged landscape and climate. Only 33% of the state has been organized into political units called boroughs. Land of the Midnight Sun: During the summer, the sun never completely dips below the horizon in Alaska's northern locations. The sun is visible at midnight. Parts of Alaska are bathed in 24 hours of daylight. Wild and Free: Have you ever seen a bald eagle in flight or perched high above in a tree watching for its next meal to swim by? Have you seen a whale wave its tail fin as it dives deep into the sea? What about a mama bear and her new born cub coming down the mountain side? Alaska has five Regions: An Alaskan cruisetour will typically take you to at least two of these regions, the Inside Passage and the Interior. During your visit to the Inside Passage you'll see cities like Juneau, Ketchikan and Sitka and you'll most likely visit one of the popular glacier attractions such as Glacier Bay or Hubbard Bay. In the Interior you'll see North America's largest peak, 20,320-foot Denali (Mount McKinley) during your stay within Denali National Park. Read more about Alaska Regions. For a limited time, select cruisetours during the months of May and June, 2010, are on sale at up to 50% savings. Princess cruisetours range from 10- to 15-nights, including roundtrip options from Vancouver, B.C. and Seattle. You’ll spend four to eight days exploring the Alaskan wilderness, seven days sailing its pristine waterways, and every itinerary includes Alaska’s top two attractions – Denali and Glacier Bay National Parks. So you get to see the best of Alaska in one vacation! Fares start as low as $999 for a 10-night vacation! During our Celebrity Xpedition cruise to Galapagos, we boarded the zodiacs and headed for Bartolome Island. Here we observed Galapagos Penguins on the shore. I was in heaven since I'd never seen penguins in the wild before. I hope you enjoy this video. Be sure to check out my other videos on YouTube as well as my Blog posts on our trip. There are also some pictures posted on Our Cruise Vacations as well as on my Facebook Fan Page. Alaska is America's last great true frontier, an unspoiled wilderness of glimmering glaciers, abundant forests, towering mountains, exotic wildlife, and waterfront communities. Alaska is a destination full of Native American culture and Russian influence -- a step back in time to the days of gold rush saloons and oil booms. Alaska, simply put, is a once in a lifetime, dream vacation. Have you ever seen America's national symbol, the Bald Eagle, up close? Or would you like to see a mother bear with her newborn cub? 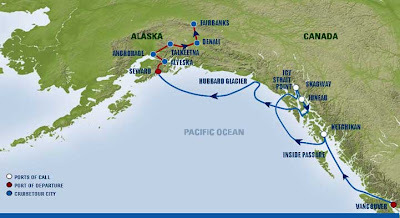 These are just a couple of the possibilities on an Alaska Cruise. In 1903, the United States began construction of the Panama Canal, one of the world's most amazing feats of modern engineering. It took 10 years, $387 million dollars, and tens of thousands of lives to build the 50 mile "ditch" connecting two continents! Because they sail from the East Coast to the West Coast (or visa versa) a Panama Canal Cruise gives you the opportunity to see many of the same ports you may see on cruise to the Mexican Riviera, the Western Caribbean, or Southern Caribbean. It is almost like 4 cruises in one. Select Alaska or Panama Canal or one of Norwegian Cruise Line's other destinations and do whatever you want whenever you want on a Freestyle Vacation. or Book a Balcony for the Oceanview Price! And Enjoy Free upgrades for a limited time! The Nation of Why Not awaits you. Travel in luxury onboard Celebrity’s Millennium®, for a 7-night Northbound/ Southbound voyage along Alaska’s Inside Passage and beyond. Venture into the heart of Alaska onboard the Wilderness Express® custom, glass-domed train cars, and lodge at deluxe hotels in prime locations. By land and by sea, a Celebrity Cruisetour offers a truly unique Alaska Vacation – cruise, rail, and superb accommodations – so that your Alaska Experience is a true departure from the ordinary. Throughout the land portion, one of the dedicated Tour Directors will serve as a guide along the way for guests, acting as a direct point of contact throughout the program. They travel on the motorcoaches, the Wilderness Express train cars and even overnight in the same hotels as the guests. As an expert Guide and Historian, they provide narrative of Alaska’s history and culture. As Concierge, they facilitate all baggage requirements, hotel check-ins, recommend restaurants and arrange optional land excursions. Many of Celebrity's Tour Directors are Alaskans and have their own personal stories to tell. Unlike competitors who charge up to $400 per person for an escorted cruisetour, Celebrity Tour Directors are already included with every Cruisetour. 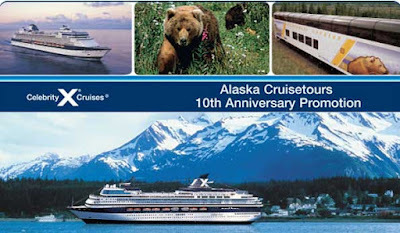 Be sure to consider this when comparing prices with other operators as guests are already getting a better value by booking their Alaska cruisetour with Celebrity. As always, offers are subject to availability and may be capacity controlled and subject to other Cruise Line restrictions. When planning an Alaska cruise vacation, it is best to plan early. Keep in mind that the cruising season goes from May through September, so there are limited opportunities to visit the last frontier on a cruisetour. Regent Seven Seas takes you to the Baltic this year aboard the 700-guest, all-suite, all-balcony Seven Seas Voyager. Take advantage of special savings now through March 31, 2010 on one of the most enjoyable European destinations. Enjoy a picturesque funicular ride and hiking tour to the top of Mount Floyen with magnificent views and photo opportunities of surrounding Bergen and beyond. Relive Estonia's turbulent past and fight for freedom from Soviet oppression. Spend two days in St. Petersburg, Russia, viewing the ancient city's top attractions including opulent rooms and galleries covered in gilt and carved plaster. Explore the many bridges of Stockholm or take a ferry to Vasa Museum to learn more about the Vikings and their ships. See magnificent waterfalls as your ship sails through the Norwegian Fjords. On January 12, 2010, a catastrophic magnitude 7.0 Mw earthquake struck 16 miles west of Port-au-Prince, Haiti, the capital of the country. Current estimates indicate that about three million people were affected by the quake with as many as 200,000 people believed to be dead. The earthquake caused major damage to Port-au-Prince significantly damaging or destroying most major landmarks, including the Presidential Palace. For almost 30 years, Royal Caribbean International has been an important foreign investor in Haiti. Their private beach destination in Haiti, Labadee®, was undamaged by this week's massive earthquake in the country. This privately-run retreat offers passengers beaches, watersports, a Haitian flea market and a zip-line. Labadee® is the biggest provider of tourist revenue in the country and employs hundreds of Haitians. Royal Caribbean announced today its plans to provide at least $1 million in humanitarian relief to Haiti in response to the catastrophic earthquake. They will be partnering with charitable organizations such as Food for the Poor, Pan American Development Foundation, and the Solano Foundation, the company's foundation in Haiti to provide additional assistance to the people of Haiti. Royal Caribbean will also be delivering much needed goods and supplies to Haiti via their cruise ships. The following ships will be delivering goods to Haiti, such as: rice, dried beans, powdered milk, water, canned goods and other supplies. When the supplies arrive in Labadee®, they will be transported to an offsite location to be distributed by Food for the Poor, a long time partner of Royal Caribbean in Haiti. Guests sailing onboard Royal Caribbean International, Celebrity Cruises and Azamara Club Cruises will be able to make a donation to Food for the Poor's Haiti Relief Fund, via a charge to their onboard account. We are saddened by the devastation in Haiti this week and are concerned for those living and traveling there. As a service to our readers, here is a partial list of organizations that have offered assistance to the people of Haiti. Norwegian Cruise Line today announced a new partnership with Nickelodeon in which select Norwegian ships will feature Nickelodeon-themed family entertainment and programming all year long. Beginning in April on Norwegian Jewel and this summer on Norwegian Epic, Nickelodeon and Norwegian experiences for the entire family will include: character meet and greets; interactive game shows; and more. The three-year partnership also includes select specialty Nickelodeon-themed cruises each year, featuring Nickelodeon TV stars, show premieres and continuous themed-entertainment on the ship. Nickelodeon at Sea will launch on Norwegian Jewel when the ship begins sailing from New York in late April, and on Norwegian’s latest addition to its fleet, Norwegian Epic, when she launches in July. Each cruise will feature live Nickelodeon-themed interactive shows, including: SlimeTime LIVE! with Nick’s signature slime; Nick Live! Poolside entertainment; character breakfasts and meet and greets; Nick-themed dance parties; and more. Nickelodeon-themed elements will also be incorporated into Norwegian’s Kids’ Crew program. Special Nickelodeon-themed cruises will be offered annually. These unique cruises will include: special appearances by the Network’s live talent; show premieres; more live game shows; even more opportunities to visit with kids’ favorite Nick characters; and much more. The first of the Nickelodeon-themed specialty cruises is scheduled on Norwegian Jewel later this year. More details and an on sale date will be released soon. Nickelodeon and all related titles, characters and logos are trademarks of Viacom Inc. (NYSE: VIA, VIA.B). 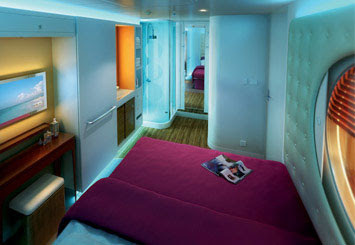 Norwegian Epic's Studio staterooms are the first to be designed and priced for single occupancy. Norwegian Cruise Line announced a completely new concept to make cruising more attractive to solo travelers on their new ship, Norwegian Epic, launching this July. 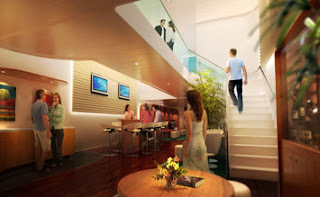 Norwegian Epic's Studios are the first staterooms designed and priced for single occupancy in the industry. These specially designed and priced Studio staterooms available on all of Norwegian Epic's sailings - with no single supplement - go on sale Monday, January 18, 2010. The Studios on Norwegian Epic are a private key-card access complex on two decks consisting of 128 staterooms and the Studio Lounge. The Studio staterooms are approximately 100 square feet of living space. They feature a contemporary design with a full-size bed and separate areas for the bathroom, sink and shower. Studio guests have private access to the Studio Lounge where they can have a cup of coffee in the morning, meet up with fellow cruisers and plan their day or relax with a drink in the evening. Since many of the Studio staterooms are connecting, there is also the opportunity for friends to travel together while giving each their own private space. Princess Cruises 2010 program features more choices than ever before — 39 unique itineraries, nine of which are new — plus 11 new ports this season, seven of which are maiden calls, including Cephalonia, Khios, Itea (for Delphi), Koper (for Ljubljana), Nice, Lübeck (Travemünde) and Eidfjord. Discover ancient lands and legendary cities on a magical 12-day Greek Isles voyage with Princess®. Sail between Venice and Rome on the spectacular Ruby Princess,® Crown Princess® or Star Princess®. You’ll visit Croatia’s walled seaside city of Dubrovnik, stroll the Parthenon at the Acropolis in Athens, and take in the timeless beauty of Rhodes, Santorini and Mykonos, plus an overnight in romantic Venice and much more. Take an unforgettable gondola through the Venice's winding canals or a walk through its alleys and piazzas, and you’ll soon be under city’s spell just as visitors have been for centuries. Nearly every view in this picture–perfect city presents a new photo opportunity, from St. Mark’s Square to the Doge’s Palace, Venice is a feast for the senses. Imagine, that's just the start of your adventure. Cunard’s President and Managing Director, Peter Shanks, was joined January 5th by 79-year-old Florence (Dennie) Farmer, honored as the “Madrina” to the third Queen Elizabeth at the float out of Cunard's latest ship. Dennie's husband, now deceased, joined Cunard in September 1938 and served as Chief Engineer on both the first Queen Elizabeth and Queen Elizabeth 2 until his retirement in October 1979. 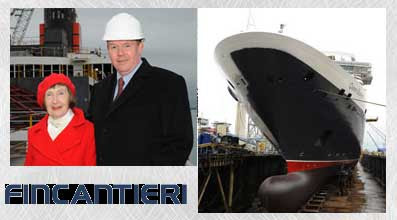 Two ceremonies were held at Fincantieri’s Monfalcone shipyard near Trieste, Italy. The first ceremony involved the welding of significant coins beneath the mast of Queen Elizabeth for good luck. Three coins were chosen – a half crown dated 1938 (the year the first Queen Elizabeth was launched), a sovereign dated 1967 (the year Queen Elizabeth 2 was launched) and a sovereign dated 2010 (to acknowledge the new Queen Elizabeth being floated out in 2010). After the coin ceremony, the new liner was blessed and a bottle of Italian prossecco was smashed against the hull by the Madrina. The valves of the dry dock were then opened and the liner met the water for the first time. For more information about Queen Elizabeth, see previous article, Construction of Queen Elizabeth Begins. Queen Elizabeth’s Maiden Voyage, now sold out, will depart on Tuesday October 12, 2010. Her Maiden Season will run from October 2010 to January 2011 and include voyages to the Western and Central Mediterranean and the Caribbean. Click here for information about itineraries and pricing on Queen Elizabeth. For information about her maiden World Voyage, see Cunard 2011 World Voyages. Always an important time for any oceangoing ship, a first transoceanic voyage announces the new vessel’s presence to the world. Silver Spirit makes this sailing during a 16-day “Maiden Crossing” from Lisbon to Fort Lauderdale. Silversea Cruises Silver Spirit was delivered by Fincantieri shipbuilders on December 16, 2009. The 36,000 gross ton ship has 270 cabins making it the largest ship in Silversea's fleet. At the delivery, President Amerigo Perasso indicated that they hold an option for an additional sister ship to the Silver Spirit. We will keep an eye on this and let you know if that plan becomes a reality. Highlights on the ship include six restaurants, including two that charge a fee, along with an Art Deco décor with lots of burgundy and dark woods. The ship’s official inaugural cruise departed December 23rd from Barcelona to Lisbon. January 21, 2010 will be the next milestone date for the Silver Spirit as it will be christened in Fort Lauderdale, Florida, and depart on its 91-day “Grand Inaugural Voyage” to 45 ports in 20 nations including Brazil, Chile, Peru, Ecuador, Guatemala, Costa Rica and Mexico. 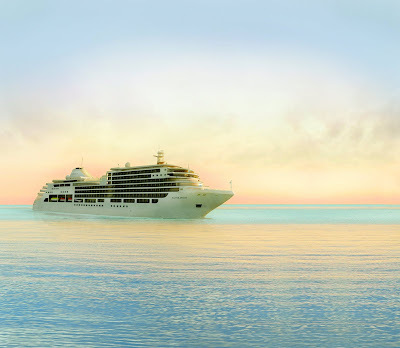 Additional information about Silver Spirit including itineraries can be found here. If you like small ships, luxury accommodations and service, Silver Spirit or one of the other ships in the Silversea's fleet might be a good candidate for your next cruise. The January offers have started to cross my desk. Here is advance notice to my followers about an exclusive WTH, CruiseOne, Cruises Inc. Celebrity Cruises offer. Choose from several of Celebrity Cruises fabulous itineraries aboard their award-winning ships, ranging from their smallest to their largest ships in the fleet. Where would you like to go in 2010? Have you made a bucket list? What's on your list? Perhaps the Mediterranean, the Baltic, Alaska, or Panama Canal ??? Somewhere warmer like Bermuda or the Caribbean ??? Check out these destinations and see which ones interest you. Contact me for complete details about this offer. For best selection, contact me early. 10...9...8...7...6...5...4...3...2...1...Happy New Year !! All across the world from New York's Time Square to London, just before the clock struck twelve the usual countdown ushered out the old and welcomed in the new decade. Joy and celebration filled the air. Just 10 years ago, the scene was quite different as people held their breath wondering what Y2K would bring. Would computers fail? We all know now that preparations by companies across the world prevented the majority of the anticipated problems. Computers did not fail, but late in the decade a new crisis surfaced hitting several industries including banking, auto, and housing. As the clock struck twelve this time, there was a sense of hope that the new decade would bring an end to the economic woes. It will take some time to determine the outcome of changes made late in 2009, unlike the instant realization that all was well on that early morning in the year 2000. The cruise industry has weathered the bad economic times and continued to deliver an outstanding value to consumers. Several new ships were added to fleets and more are due out in 2010. These new ships bring additional choices to consumers and help increase competition between the cruise lines. These are exciting times for the cruise industry as a new wave of innovation has gone from the drawing board to reality. You may love or hate the new Royal Caribbean Oasis of the Seas, but you can't help but marvel at the technological accomplishments. 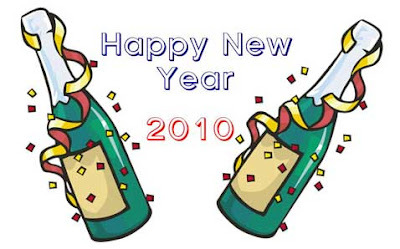 Celebrate the New Year with family and friends and get ready for an exciting decade. I hope that you have a healthy and prosperous New Year and that you'll be creating some new memories on a cruise ship before this year is a memory.